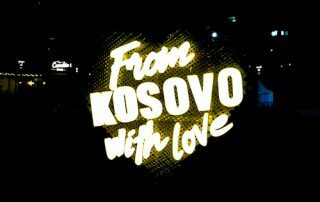 Over 20 things to do in Pristina Kosovo with pictures. An abandoned church, an ugly library, Tony Blair Street as well as Mother Teresa monuments. 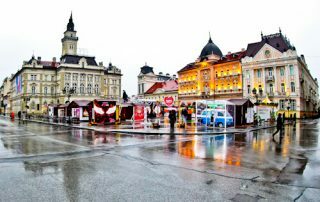 Things to do in Nis Serbia. Third largest Serbian city which features an Ottoman Fortress as well as a Skull Tower. Furthermore, how to travel to Kosovo. Things to do in Belgrade, Serbia. Information and photos of several points of interest including Belgrade fortress as well as the Temple of Saint Sava. 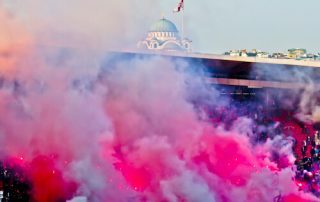 How to experience a Red Star Belgrade Matchday experience, stadium tour as well as museum tour. Has your football team visited the Rajko Mitic Stadium? 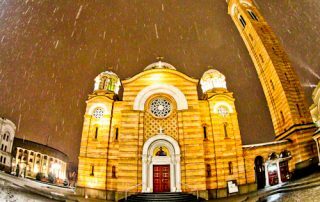 What to see and do in the second largest Serbian City. 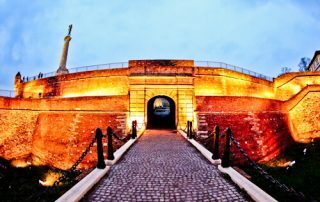 Novi Sad Serbia is home to Petrovaradin Fortress as well as some impressive architecture. 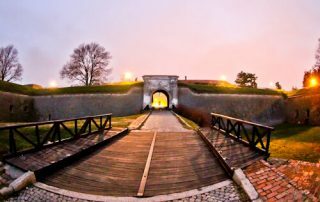 A visit to the Petrovaradin Fortress in Novi Sad, Serbia. Furthermore, how to access the 16 km of secret underground tunnels. Sremski Karlovci is a beautiful small town located in Serbia's wine region. 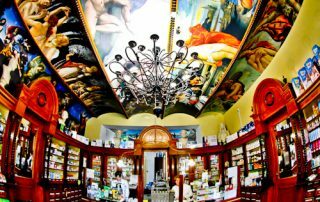 It makes the perfect day trip from either Belgrade or Novi Sad. 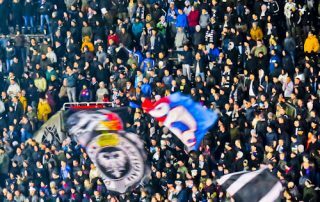 A Europa League matchday experience at the Partizan Stadium in Belgrade. Home of multiple Serbian SuperLiga champions, Partizan Belgrade. 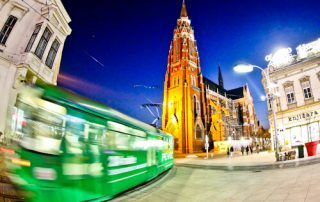 Things to do in Osijek, the largest city in Slavonia and Eastern Croatia. Additionally, how to take the bus from Osijek to Novi Sad, Serbia. A visit to NK Osijek Stadium, Stadion Gradski Vrt to watch a Croatian First League football match. 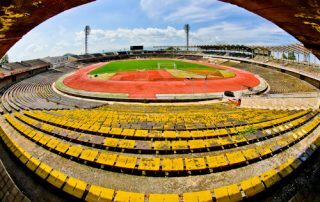 What to expect during this matchday experience? 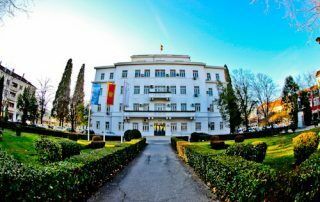 Banja Luka is the capital of Serb Republic in Bosnia and Herzegovina. 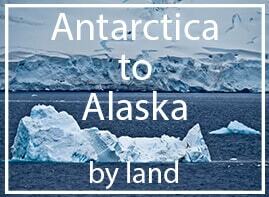 It's home to one of the most beautiful Orthodox Cathedrals in the world. Plovdiv Abandoned Stadium Tour. How to enter the largest stadium in Bulgaria, in addition, things to see inside the stadium. 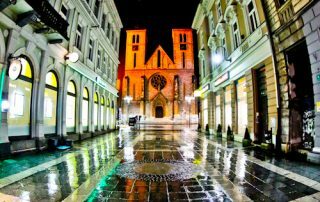 What to see in Sarajevo, the capital of Bosnia and Herzegovina. Additionally, make a day trip to Srebrenica and to the Sarajevo War Tunnel. 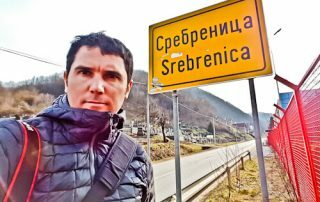 Srebrenica - A day trip to Srebrenica from Sarajevo. The Srebrenica Genocide is where the largest massacre in Europe happened since World War II. 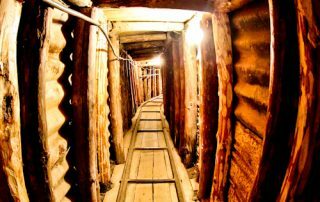 Sarajevo War Tunnel - How to visit the Tunel Spasa on your own from Old Town Sarajevo. Also, what the tunnel was used for during the Siege of Sarajevo. 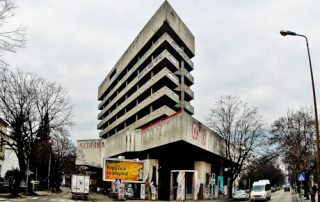 Mostar - Things to do in Mostar including the UNESCO center as well as seeing many destroyed buidings. Additionally how to get from Mostar to Sarajevo. 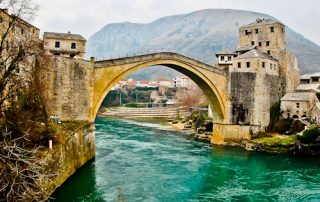 Day trips from Mostar, Bosnia including Kravice Falls, Blagaj, Pocitelj, Sarajevo as well as the UNESCO Stecci Medieval Tombstones. Mostar Sniper Tower - How to enter and what to photograph inside the tower. Additionally how this building could have been the starting point of the Siege of Mostar. 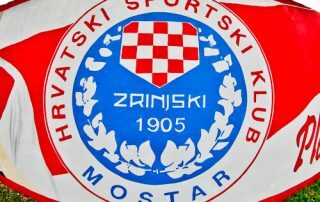 HSK Zrinjski Mostar - Stadium Tour of the Bijeli Bijeli Stadium in the Croatian part of Mostar. 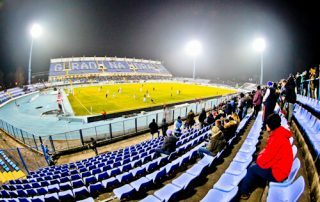 Home of the multiple Bosnia and Herzegovina Premier League Champions. 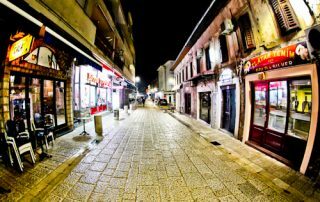 Podgorica Montenegro - Things to do in the Montenegrin capital city as well as day trips. 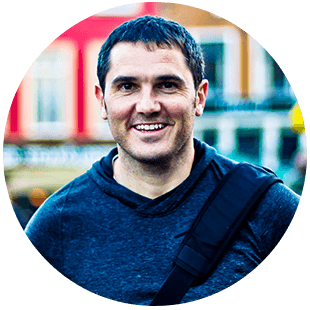 Additionally how to get from Podgorica to Mostar, Bosnia.